The healthcare staffing market is a competitive and constantly growing industry. 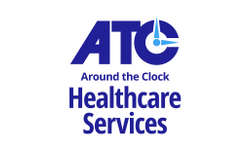 ATC Healthcare Services helps with back office infrastructure and support to allow franchisees to provide staffing services to public facilities, government offices, and other large companies. Home Helpers provides medical, non-medical and personal care services for seniors and others needing short or long term care. Home Helpers offers franchisees marketing and public relations expertise, comprehensive training, a national accounts program, and personalized support. The Joint Chiropractic is the country's largest network of chiropractic clinics (no medical or chiropractic experience required to franchise). Convenient drop-in hours, a national brand, and a gym-style membership model produce consistent revenues and eliminate the burden and cost of insurance paperwork.